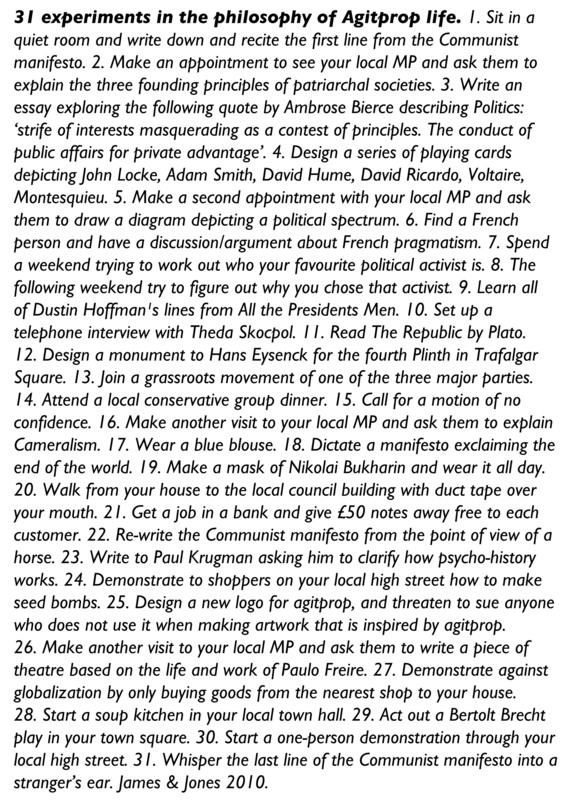 James and Jones were invited to contribute to Agitprop! An exhibition that looks to the future of contemporary art in society and invites artists to make work in response to this question. 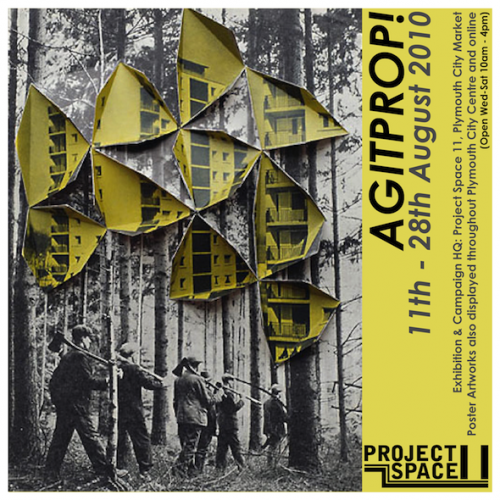 Referencing the saturation of the manufactured propaganda image, constantly produced and ubiquitous, Project Space 11 in Plymouth will present a rolling exhibition of black and white posters (both in the Project Space, and throughout the city) created by regional, national and international artists. Project Space 11 will act as a temporary campaign office for the duration of the show: manufacturing propaganda multiples that visitors can distribute as they see fit. For more info click here for the Agitprop! poster. James & Jones contribution to the exhibition is below.